Proprietor Silvio Denz seems to have captured some serious magic in this blend of 85% Merlot and the rest Cabernet Franc and Cabernet Sauvignon. A sleeper of the vintage, it offers a dark ruby/purple color, abundant black currant, black cherry, spice, and charcoal aromas, a big, dense, rich style, and 5-7 years of drinkability. Bravo! Available in the U.S. at Zachys and Sherry Lehmann in New York for 16-20$ a btl. ← English Wine Beats Champagne? 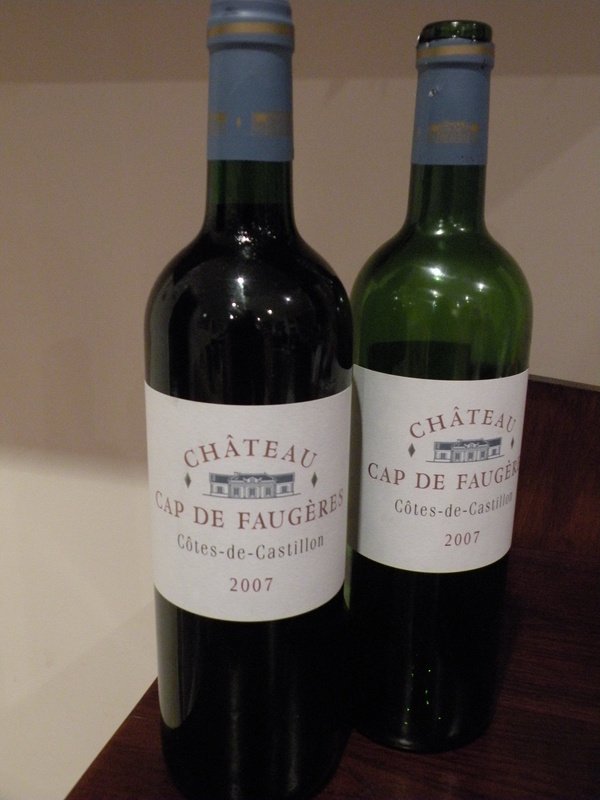 I had a couple of bottles of the 2001 Cap de Faugeres last night with friends over dinner. It is perfect for drinking now, fully mature, with well integrated tannins plenty of fruit, soft, round and nice concentration.